I began my financial service career 8 years ago as a client service associate with Ameriprise Financial. I moved to Morgan Stanley as a Wealth Advisory Associate in 2012, where I developed comprehensive financial plans and strategies for clients. I moved into the Financial Advisor role in 2014 where I work closely with my clients to help identify and prioritize their financial needs and goals that matter most. Comfort comes from having structure, a comprehensive plan and a relationship with a financial professional who cares. Let me provide guidance for all aspects of your financial life and know that someone knowledgeable and responsible is always looking out for your best interest and concerns. Michael attended Providence College and graduated with a B.S in Finance. He currently holds his series 7, 66 and Life and Health Licenses. He also attained the Chartered Retired Plan Specialist title through the College of Financial Planning in 2013. Michael currently resides in Manhattan and grew up in Syosset, New York. In his spare time he enjoys golfing, skiing and traveling. As a Financial Advisor with Morgan Stanley, my relationship with my clients is central to all I do. I take the time to get to know them, working closely to help identify and prioritize their financial needs and goals that matter most. Then based on our discussions, I help develop a personalized financial plan that serves as a roadmap for the future. My most important goal: to help you achieve your objectives, providing guidance that helps your wealth do more for you. 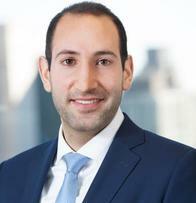 Joshua began his career in 2010 in a variety of different roles supporting Morgan Stanley financial advisors. Some of these roles included order entry support and working on the financial planning desk. This was a great opportunity to learn about the industry as a whole and gain valuable insights from thousands of financial advisors. In 2017, Josh joined the newly formed team as a client service associate where he is committed to offering world class service to all clients. His responsibilities include client trading, portfolio reporting, investment research, and assisting with cash management and lending services. Josh grew up in Marlboro, NJ and attended Rutgers University, graduating with a B.A in economics. He currently holds his Series 7, 66, Life and Health licenses, as well as the Certified Financial Planner™ designation. 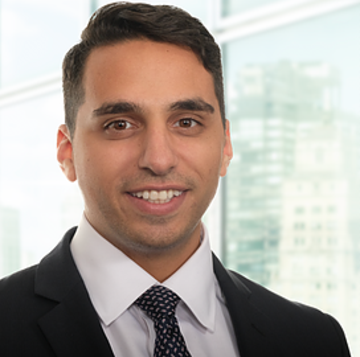 Josh currently lives in Long Island City where he is an avid sports fan playing in different flag football and basketball leagues. He also enjoys cooking, volunteering, and playing golf. 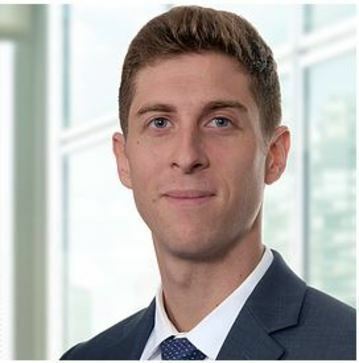 David joined Morgan Stanley in 2017 as a Senior Registered Client Service Associate. Prior to joining Morgan Stanley, David worked as a Senior Associate with UBS. Drawing on his past experience, David concentrates on customized financial planning, portfolio construction and implementation, performance reporting and cash management and lending solutions. He received a B.S. in Business Economics from Rutgers University, where he was a member of the Alpha Kappa Lambda Fraternity. David holds the Series 7, 63, and 65 securities licenses and is currently a CFA® Level 1 Candidate. He currently resides in Upper Saddle River, NJ. In his free time, he enjoys traveling with his wife Nadra and spending time with his French Bulldog Winston. Ready to start a conversation? Contact Michael Marra today.